Season Ticket Renewal Pays Off! Attention all season ticket holders! Each day we’re giving away a prize randomly to one of our renewed season ticket holders for 2014. Renew today to get your name in the bucket! 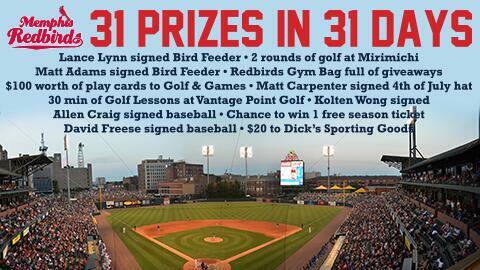 If you’re thinking about getting season tickets for the first time call 901-722-0299 to learn about all the perks of having your very own reserved tickets with the Memphis Redbirds!